As I flip through an old childhood sketchbook, I see drawings of my old teddy bear, my nightstand and occasionally something that resembles a cartoon monster. I was always an imaginative child, spending hours cooped up into my room writing short stories, creating pretend alphabets and painting. I loved art, because I liked to invent new things. During high school summer breaks, I took oil painting classes from Professor Niu, a highly-regarded painting teacher in the Chinese community. The classes were hours long and could be physically tiring, but the hardest thing about painting ended up being paying attention to my eyes. 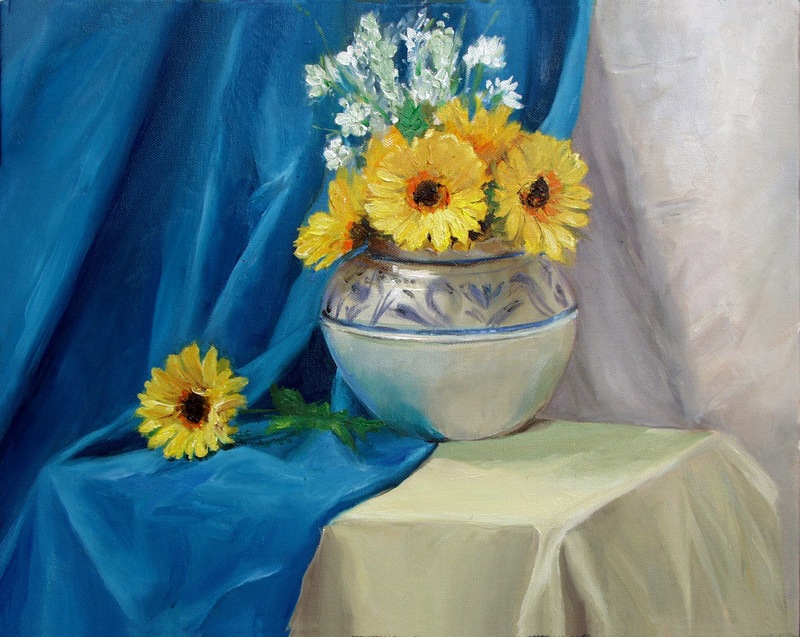 When I tried to paint a vase, my brain told me it was white while my eyes were telling me it was actually blue (from reflections created by nearby objects). I would struggle at first to paint it blue, because I knew it was white. But when I did paint it blue, it looked right and suddenly the painting would come together. These classes ended up teaching me not just about how to make colors and form come together on a canvas, but also how to be a little braver. Art teaches courage, an attribute that comes from facing fears and overcoming them. It’s easy to make something the way other people tell me it should be. It’s much harder to block out existing thoughts to create new ones. Art is important for this reason. It tries new things. It experiments. It plays. It imagines. It questions. It ultimately brings people out of their comfort zones; that’s something we always need a little bit more of.